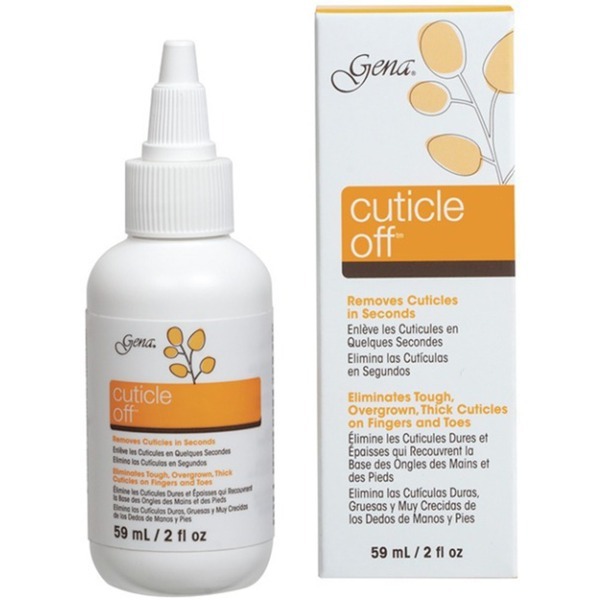 GENA Cuticle Off / 2 oz. - 59 mL. Cuticle Off removes cuticles in seconds and does the work for you. Instantly and effectively removes even toughest cuticle growth from fingers and toes. Perfect for all nail services.